Howlin' Wolf Records: SIX STRINGS: Varèse Vintage: Pere Ubu’s Classic "Terminal Tower"
Varèse Vintage: Pere Ubu’s Classic "Terminal Tower"
Varèse Vintage, a division of Varèse Sarabande Records, is proud to release two LP versions of Pere Ubu’s seminal album Terminal Tower on July 27, 2018. The label will be releasing a limited edition (500 units) clear vinyl version and a standard black vinyl version. Terminal Tower was named one of Rolling Stone magazine’s Top 40 punk albums of all time. 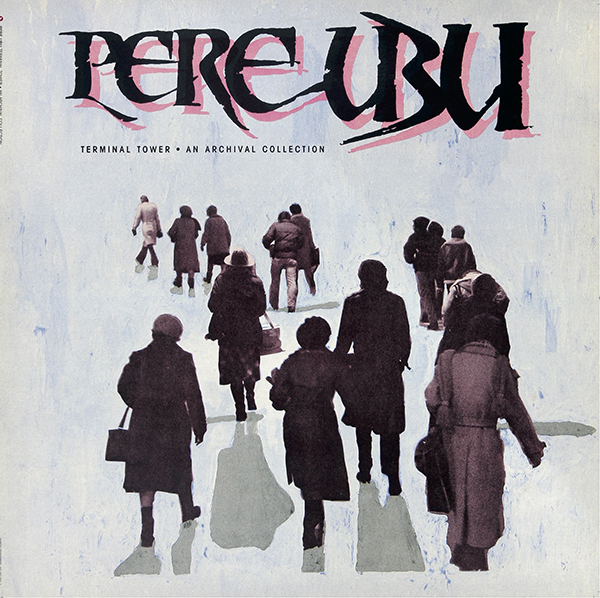 Pere Ubu was formed in Cleveland in 1975. Releasing 16 albums over a 40+ year career and continuously helmed by singer/songwriter, David Thomas, the band has been one of the foundations of Avant Garde and Punk Rock in the U.S. and overseas. Their most recent new release was 2017’s 20 Years in a Montana Missile Silo.